Chairman of a fin-tech company, CASHe, V Raman Kumar has been appointed the first chairman of the newly-formed India chapter of Global Entrepreneurship Network, which conducts the Global Entrepreneurship Summit all over the world. “GEN India is formed now and this will be the point of contact for India,” said Kumar, who hails from Kurikyal village of Karimnagar district in Telangana.“I am expected to build entrepreneurship and develop the ecosystem around it. GEN India will help States to replicate the successes and create employment. That is the basic idea. 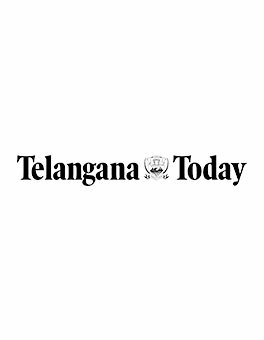 Having a friendly investment policy for entrepreneurs is also on agenda,” Raman Kumar told Telangana Today, in an informal chat on Wednesday. The GES 2017 that is going on now in Hyderabad is part of GEN Worldwide. “With GEN India now in place, more States can access us right away here in India,” said the former Indian Revenue Service officer turned entrepreneur, who is now settled in Mumbai. Kumar did his early schooling in in Karimnagar and studied till Class X at All Saints in Hyderabad. He is an alumni of Little Flower Junior College. Later, he went to Delhi to study at St Stephens College and did his BA honours and MA.“Later, I became a revenue service officer. My first posting was in Hyderabad as an Assistant Commissioner. I worked here for four years and then went to US to study MBA,” said Kumar, who later quit his job to start a new innings in the private sector.He started a company called C-Bay Systems in America in 1998. “I took this company from zero to $1.1 billion, roughly about Rs 5,000 crore in those days. I sold it to JP Morgan Bank for that much amount and then I started to invest in India,” Kumar said about this entrepreneurial journey. When he was in C-Bays System, which later had become MModal, he had 5,000 people working in the US and an equal number in India. In Hyderabad, the company roughly had 1,500 people working.“Then I started investing. I invest in American as well Indian companies, small and big,” said the investor. Since 2012, Kumar has invested in about a dozen companies.He has two companies of his own in India- Aeries Technology Group and Cashe. Aeries is an IT company and in Hyderabad it has 900 people working in it. 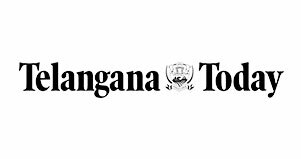 CASHe has 90 people, its entire technology team, in Hyderabad.“In the next two years, we plan to increase the workforce in Aeries to 2,500 in Hyderabad from the current 900,” said Kumar who is also active with T-Hub as an investor. He is also on its board of directors. “I also advise companies and young kids on startup matters”.